Maybe that project got a little out of hand? We can be your NE Portland yard cleanup champions. Call us if you need to hire us for a one time cleanup NE Portland lawn cleanup. We are glad to help! Whether it’s a spring clean up or a fall final project, we can help. 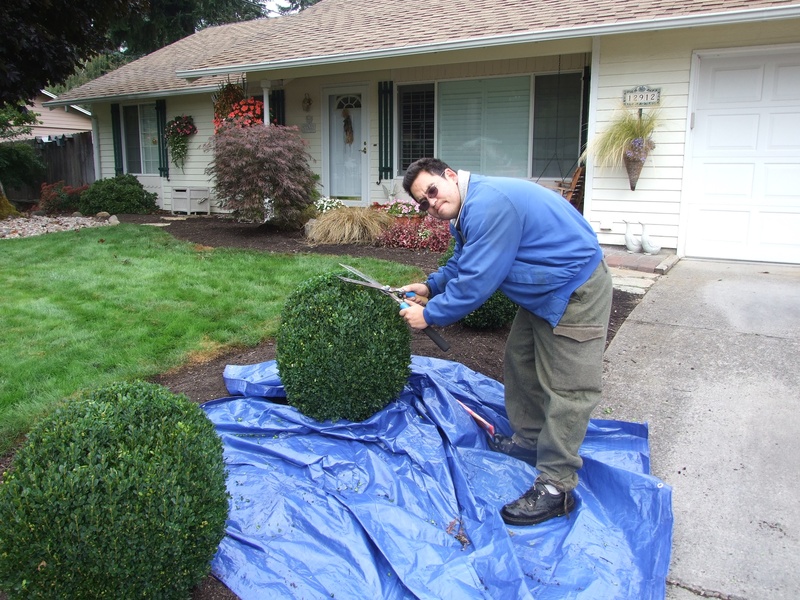 Leaf piles, untrimmed grass, and tree pruning all need attention and can be a big job. Give us a call and we’ll discuss how we can help you get the job done quickly and effectively. Many home fruit growers make the mistake of planting a tree, then neglecting it until it begins to bear. But careful attention to pruning and training young trees will ultimately determine their productivity and longevity. This landscape job was too small for the “big” Landscape professionals but too complicated for the little inexperienced gardener. The tree had erosion issues, but piling too much soil around the tree would kill it. It was also very shady, dark, and acidic soil. Not very many plants would grow in this condition. Garden Samurai Consultant John Knoernschild, suggested placing grey rocks, a few variegated ground covers that could tolerate shade, accented with dark hemlock bark. 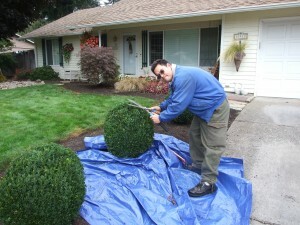 Admirable Landscapes and associates have over 50 years of combined experience since 1996 and have served hundreds of customers in the Portland Metro Areas, including Gresham, West Linn, Gladstone North Portland, Northwest Portland, Southwest Portland, with a special focus on Northeast Portland for maintenance.